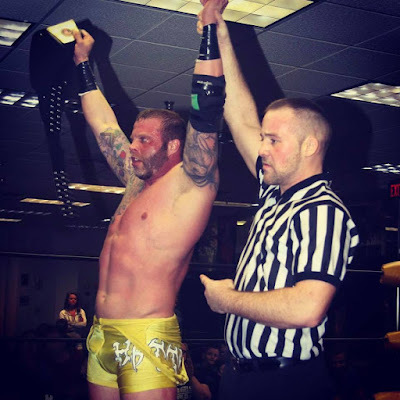 As I've been promoting Stride Pro Wrestling shows via social media and this blog for the last several months, there's been one guy I've completely failed to mention. So today, I have a quick shout out to Lane Austin. 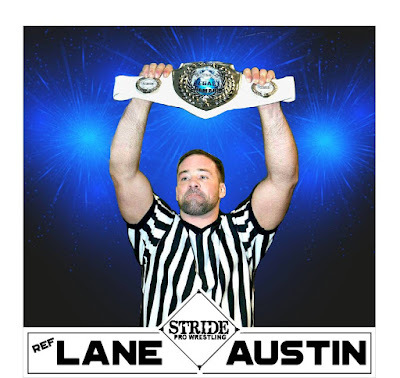 Not only is Lane Stride's senior referee, many times, he's the only official on hand. When I was a kid, the referee was often an important part of the match. I knew the of each ref from both the NWA and WWF. 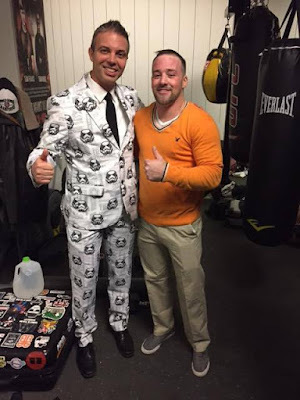 These days, that third man in the ring is often just a prop. I'm not sure I could name more than a couple of ring officials now. But everyone who comes out to Stride Pro Wrestling shows knows Lane Austin. He's been at each event and has taken a fair share of abuse from the men and women of the ring wars. 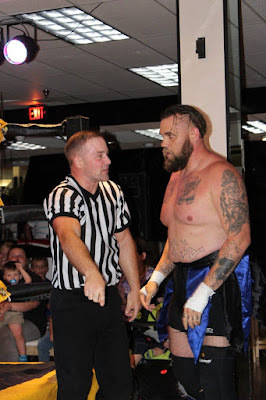 From being criticized for not counting fast enough to actually assaulted with a chair by former champion Ax Allwardt and speared by current champ Heath Hatton, Lane has seen a lot over the past year. He's maintained law and order, for the most part, trying to soothe savage beasts who are much bigger than him. Most of the time Lane does this job with a smile on his face. 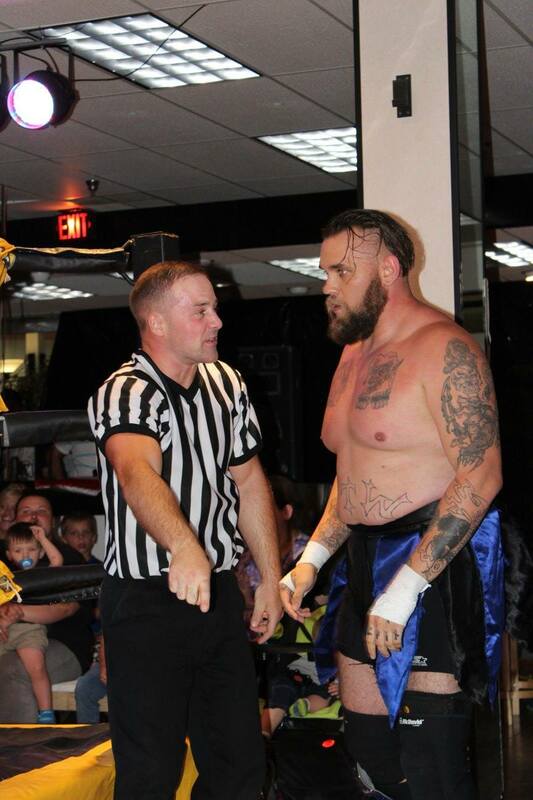 He's not just a prominent face in Stride Pro Wrestling, but he's got reffing gigs all over the area. And he's no slouch either, Lane works out hard to stay ready for the rigors of the job. I've been in the stripes one time and it was not an easy task. So before you boo the ref, remember he's in there trying to call the action the best way possible. I salute my future tag team partner "Luscious" Lane Austin and encourage you to come out and see he and all the other stars of Stride Pro Wrestling this Saturday night at the Illinois Star Centre Mall in Marion.